The Tallen Trailing Point hunter knife blank features beautiful layered Damascus steel construction and an integral brass bolster. 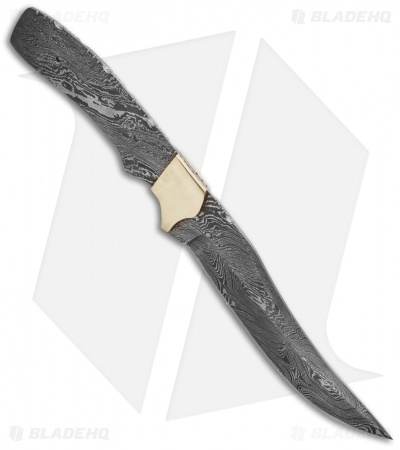 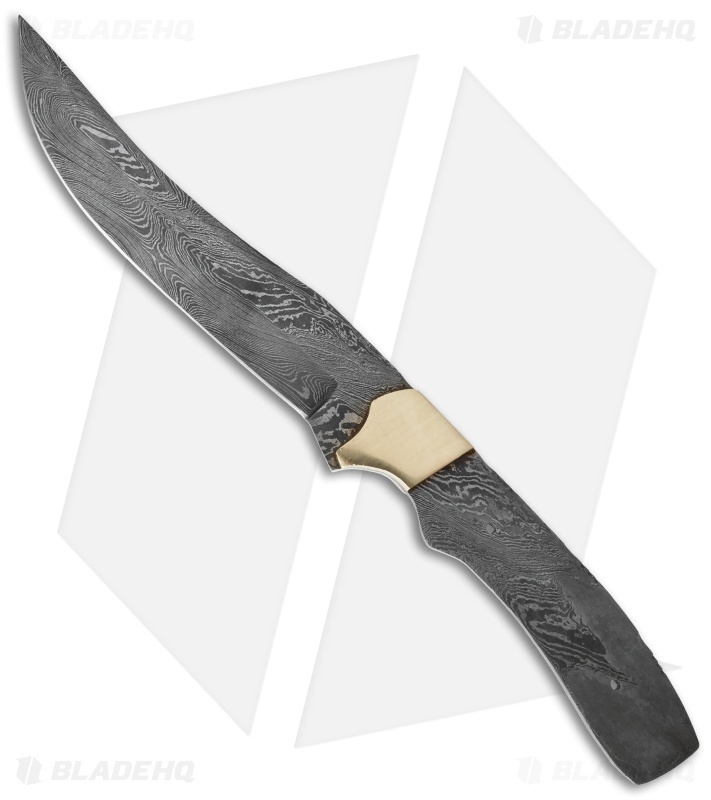 It has a trailing point blade shape with a stunning damascus pattern. The spine of the handle has an intricate filework design and the brass bolster has a polished finish.